Nissan is recalling some of its cars, including the 2015 Murano, because of fire risk. Nissan is recalling 120,000 cars because of fire risk -- and warning drivers to park away from buildings if there's trouble. Nissan North America and U.S. regulators issued the recall Monday for the Maxima, Murano and Murano Hybrid. Brake fluid leaks can result in short-circuits and fire risk, they said. NHTSA and Nissan said drivers will know there's a problem if the ABS warning light on the dashboard stays on for more than 10 seconds after engine startup. "If this occurs, owners are advised to park the vehicles outdoors away from other vehicles or structures and to not drive the vehicle," the National Highway Traffic Safety Administration said in its recall notice. If that happens, the driver should call Nissan roadside assistance for help, Yaeger said. Steve Yaeger, a spokesman for Nissan North America, said there had been several fires, including one that damaged a driver's home. 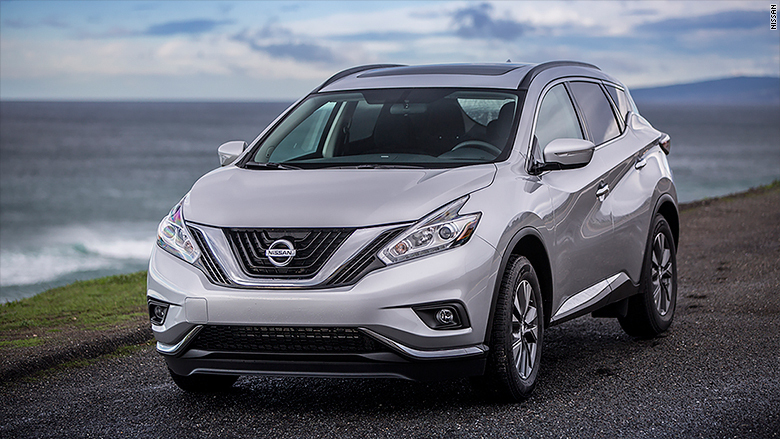 The recall applies to the 2016 and 2017 Maxima with Intelligent Cruise Control, the 2015 to 2017 Murano with Intelligent Cruise Control and the 2015 and 2016 Murano Hybrid.